Guitarist Ira Black (I AM MORBID, METAL CHURCH, LIZZY BORDEN, WESTFIELD MASSACRE) is playing with DOKKEN for nine U.S. tour dates in November and December. 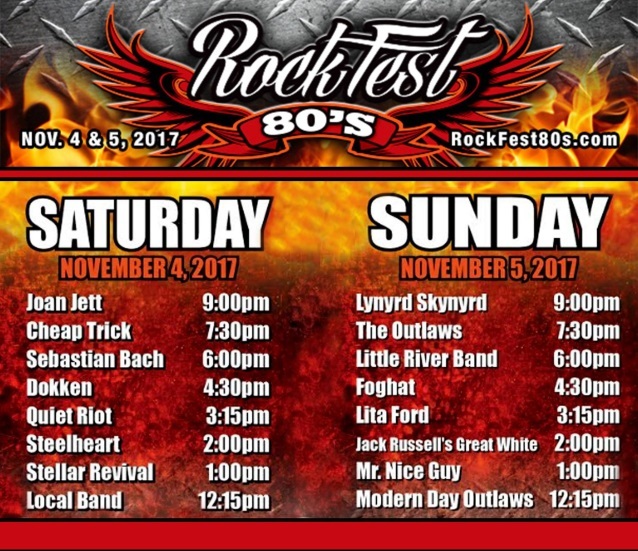 Black made his live debut with DOKKEN in Houston on November 2 and performed with the group on November 4 at Rockfest 80’s, to be followed by seven shows in December. Black is filling in for DOKKEN‘s longtime guitarist Jon Levin, who has been with the group since 2003. Levin, who also works as an attorney specializing in entertainment contract law, as well as the occasional divorce case, is busy with his law practice through the end of the year and is unable to play with DOKKEN this fall. The classic DOKKEN lineup of Don, guitarist George Lynch, bassist Jeff Pilson and drummer “Wild” Mick Brown completed a short Japanese tour in October 2016. A new DVD focusing on the reunion tour is tentatively due in early 2018. The set is expected to feature footage from two of the Japanese shows — including Tokyo — as well as the band’s very first comeback gig, which was held on September 30, 2016 at Badlands Pawn Guns Gold And Rock ‘N’ Roll in Sioux Falls, South Dakota. “Broken Bones” sold around 2,600 copies in the United States in its first week of release to land at position No. 173 on The Billboard 200 chart.